Florida is not only a “coastly” state, it is also costly. 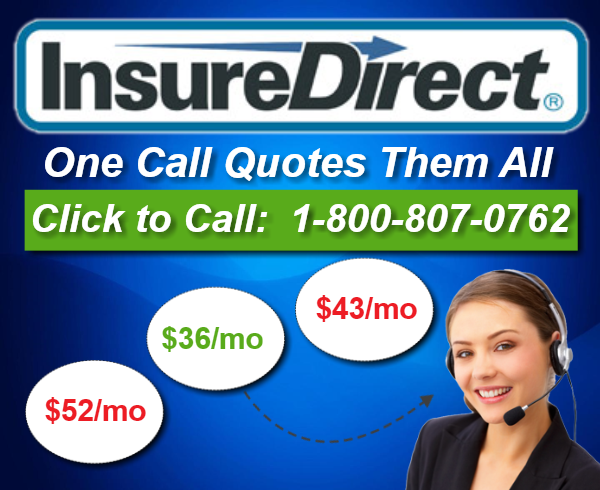 In this state, car insurance prices are at a high run including that of student car insurance. What makes it more costly for car insurance in Florida is the state’s no-fault law wherein it is being required that everyone must hold a full-coverage insurance policy before they can drive legally around the state. To add, students are getting higher insurance rates for they are considered as “high risk” or in much simpler words, they are prone to accidents. Students which are usually under 25 years old are being considered to fall into the state’s most accident-prone age groups, the other age group which are also being considered as high-risk are those vehicle owners and drivers who are over 65 years old. Because of such labeling, college students in the state might be paying for around 50 percent higher than the average insurance premium. Even if the student is studying outside the state but his vehicle is registered in Florida, he will still have to pay the higher insurance rate for the law requires Florida vehicle owners to carry the minimum coverage. Due to the no-fault law in Florida, owners are obliged that before registering their vehicles in the state, they must have property damage liability (PDL) insurance at the minimum of $10,000, and a personal injury protection insurance (PIP) of the same minimum. The state law also requires vehicle owners to maintain such insurance coverage during the registration and licensing period. To add, vehicle owners and drivers who had a vehicle-related accidents or records of traffic violations are compelled to have additional insurance policy which includes additional PIP, bodily injury liability (BIL) that can amount to $20,000 per occurrence, and an additional $10,000 PDL per occurrence, and many more varying on the record of accidents or traffic violations one has. In getting student car insurance in Florida, a few steps might be taken to reduce the costly insurance rates for cars. A student may pay a lower insurance price if he is not driving sporty or expensive cars, or purchasing cars that are priced below $5,000 and paying this in cash will also reduce the needed insurance premium. Other steps that can also be taken to have a not-so-pricey student car insurance in Florida is for students to keep good grades in school, take advance driving lessons and keeping out from traffic tickets. With those things mentioned earlier, a student has a good chance of scoring discount points from the insurance providers thus reducing the amount they have to pay.